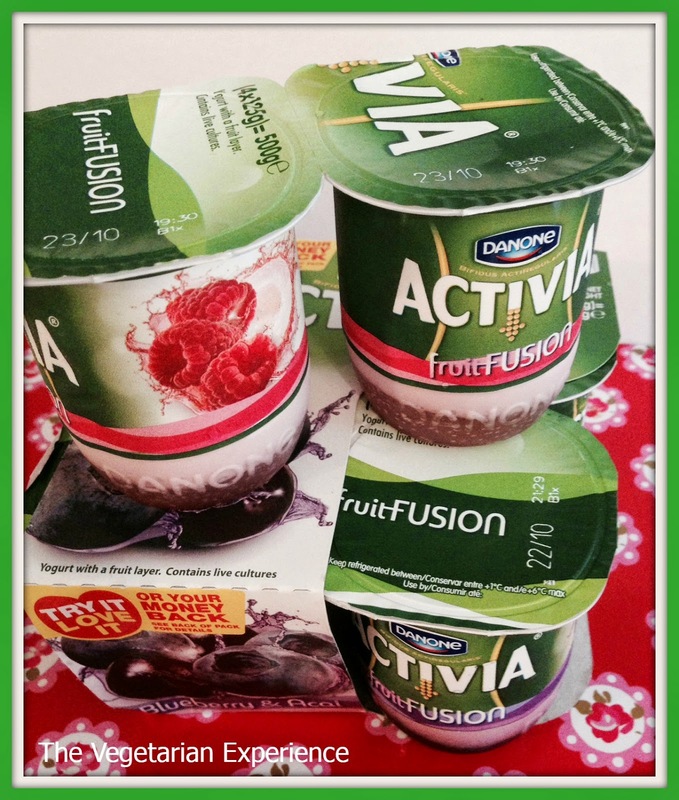 The Vegetarian Experience: November Finds: Activia, Howdah and Yu! First Up - Activia's new range called "Activia Fruit Fusion", which features three flavours, Mango and Passionfruit, Blueberry and Acai, and Raspberry and Lychee. Available in 4 x 125g packs, these yoghurts contain a mix of five live cultures, which mean that they can be included as part of a balanced diet. They also make a fantastic snack at any time of the day or night! I was very happy to receive these, as we enjoy eating Activia yoghurts. My personal favourite was the Mango and Passionfruit, whilst other members of the family preferred Blueberry and Acai. 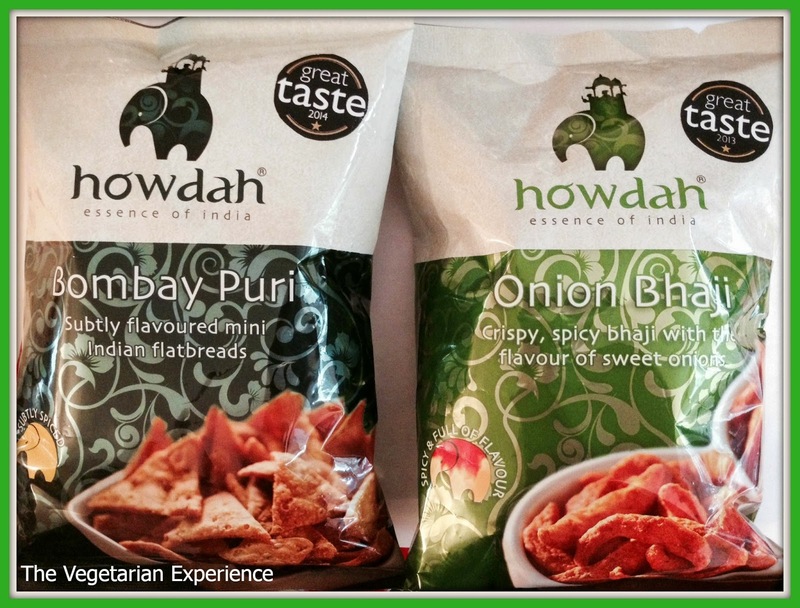 Howdah Gourmet Indian Snacks from Mumbai Foods have recently launched six new flavours of snacks: Bombay Puri, Masala Banana Chips, Peanut Pakora, Peppered Banana Chips, Bakatwadi Bites, and Onion Bhaji..All six flavours are authentically produced, free from additives, preservatives and 100% vegetarian and vegan. Some are also Gluten free. We were sent Onion Bhaji and Bombay Puri to try. Both snacks we sampled are very rich and full of flavour Hubby liked the Puri in biscuit form rather than bombay mix style. The Onion Bhaji snacks are very tasty and he loved the aftertaste as the spices kick in. These are great snacks for an Indian Buffet, or just a treat when you fancy it! Howdah Snacks are available from various local stockists. Yu! Healthy Snacks’ Just Fruit Chews are healthy snacks made with 100% real Fruit and with no added sugar. Unlike other fruit based products, Yu! 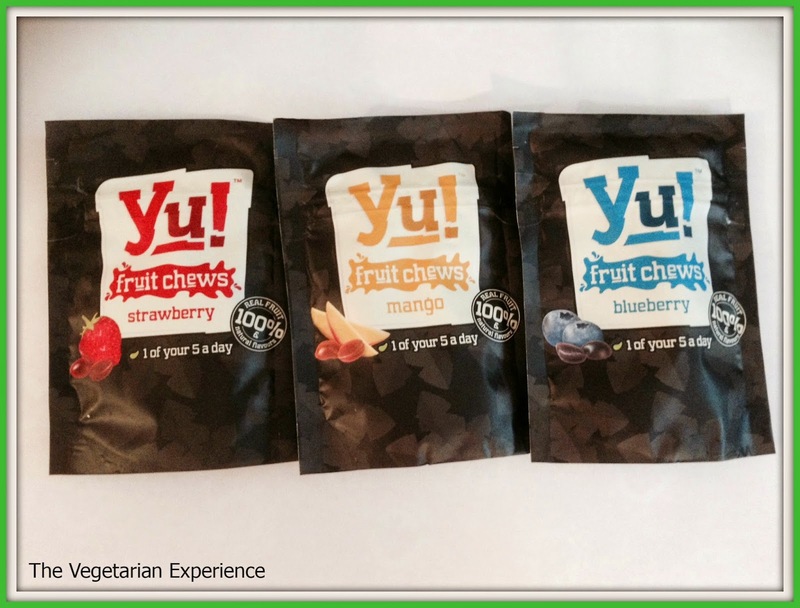 Fruit Chews are suitable for vegans, vegetarians and those who are intolerant to gluten, wheat and lactose. We were sent some of the range to try, including blueberry, mango, raspberry and cherry. I love that these fruit chews look and taste just like sweets, so the kids were happy to pop them in their mouths and give them a try. All of the flavours were delicious, and these are something we will definitely be looking to purchase in the future. Yu! Fruit Snacks can be found in Tesco, Sainsburys and Waitrose priced at rrp 65 pence per pack.